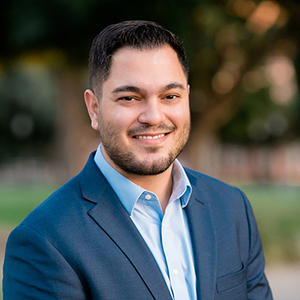 Community-driven in business and in life, Pasadena native Mike Wehbe brings twelve years of experience in customer service to his current role as a real estate professional with Compass. As a five-year veteran of the Office Administration side of real estate, where he was involved in more than 200 residential transactions, Mike has a leg-up when it comes to advising clients about prospective homes in Pasadena and the greater San Gabriel region. "Beyond becoming a top agent in my area my goal is to create a legacy of helping make my community a better place." Mike's charitable endeavors over the past six years are an ode to his commitment to serving his Pasadena community. In 2017, Mike acted as the Chairman of the Board for the Pasadena Junior Chamber of Commerce (or "Jaycees"), and he was the 87th President in 2016. The Jaycees are a community service-based leadership organization has been giving back to the community since 1929. Mike feels privileged to be among the most energetic and welcoming group of professionals that he has ever had the pleasure of meeting at Compass. Prior to finding his calling in real estate, Mike ran his own DJ business for eight years, a creative venture that lead him to perform in and around Los Angeles, Orange County, and Las Vegas. During his free time, you can often find Mike spending quality time amongst family and friends, as well as dreaming up his next travel destination.